The name Kurt Arrigo is synonymous with marine photography and in the course of his career has become a highly regarded photographer who amongst many accolades can count the prestigious Mirabaud Yacht Racing Image of the Year. His passion for sailing photography took off in 1992 when he shot the America’s Cup in San Diego – this led to him covering, repeatedly, some of the most high level yachting competitions around the world. Kurt’s commitment to his work is portrayed in his positive attitude and easy going personality. Striving to challenge himself and cross new boundaries, his constant search for a fresh outlook on his subjects makes him the successful photographer he is. Your love for photography started at eleven years of age, did you always know you would choose photography as a career path? I lived in an environment where cameras were ever present. When I was eleven, my grandfather gave me my first camera a Kodak Disc camera and that is when I started experimenting with photography. Five years later I bought my first SLR camera. I was mostly inspired by the work my brother Shaun undertook, as his artistry took a life of its own. [Editor’s Note – Shaun Arrigo was a renowned filmmaker who spent most ofâ€¯his life capturing the underwater beauty of the Mediterranean Sea]. My life has always revolved around the sea, having done windsurfing and also sailed on H Boats with Christian Ripard. All along I always had a camera in hand, taking shots of whatever instances I could capture. As time passed, I started developing my skills -through practice, buying books – my commitment to photography was well and truly ingrained. Positive comments about my work from people with an artistic background filled me with courage. As I grew older I started working in the family business but also found the time to travel and shoot photos at races like Antigua Race Week. These foreign assignments would enable me to produce calendars which I would sell to businesses and help me fund my overseas assignments. Is there any artist that inspires you? Why? Throughout the years many different artists have inspired me – from Caravaggio, to the chiaroscuro element especially in street photography. [Editor’s Note – The termâ€¯chiaroscuroâ€¯originates from the Renaissance period and is often associated with painting or drawing, however it has evolved into the photographic world and now often simply means strong and bold contrasts between light and dark areas in aâ€¯photograph] I have followed the work of Henri Cartier-Bresson who pioneered the genre of street photography and viewed photography as capturing a decisive moment. I also read and watch documentaries, in particular the underwater artistry created by David Doubilet, renowned National Geographic marine photographer. I feel very much in tune with his passion for underwater photography inspired by environmentalism - "The desire to make an image that makes people think about, fall in love with, and protect the sea”. Ultimately one has to be patient to encapsulate the whole atmosphere, waiting many hours to capture the right picture. Like any artist, there are times when inspiration might be lacking, what do you do to find that inspiration? I always try to take each day with the same enthusiasm as if it were the first day on the job as well as taking a holistic approach to life in terms of balancing the stuff that one enjoys and bringing it all together. There were times in my career when I carried out jobs that I did not fully resonate with but I took them as a learning curve that would help me further build and strengthen my career. These jobs taught me how to negotiate, deal with brands and their strict guidelines, build a strong work ethic and values and of course create long lasting relationships. As my career kept on growing, I made sure that I would keep challenging myself – both from a physical level and creative aspect – maintaining a curiosity to carry on learning and pushing boundaries. Following that path, everything then comes together. That said, nature, more so the ocean, is one of my biggest inspirations, so there is always something to inspire out me there. No kidding! Twenty five years of exposure to all the elements have left a mark! 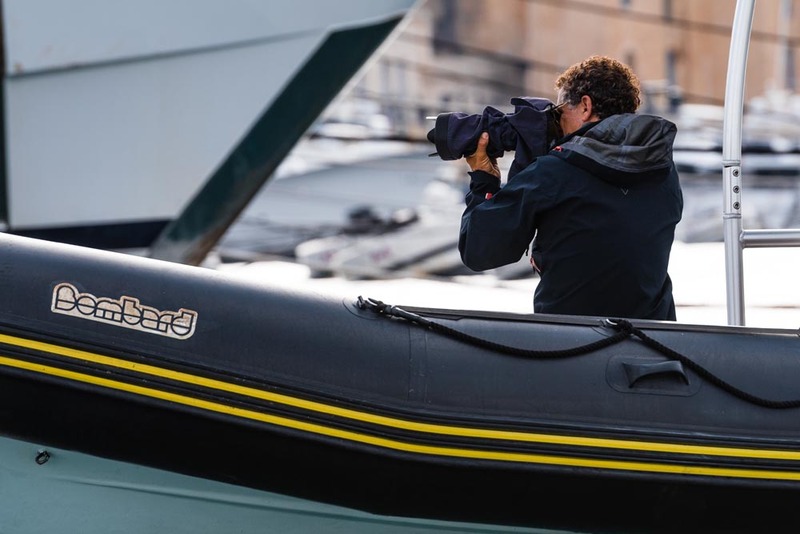 Fortunately I don’t suffer from sea sickness, possibly due to my concentration on working towards seeing the end result, navigating to get to the picture – of course instinct and understanding the sport plays such an important role in capturing the right image. Capturing the right image does not just involve going out and shooting the image. It also involves a rapport with your team – be it the rib driver, the helicopter pilot, the land team. All starts off with a good briefing to ensure that the team has a good understanding of what you expect from them. Do you ever get bored? If yes what bores you? Rather than bored it is more frustration when things don’t go your way. In the early days it was frustrating missing a shot, but then you learn from each experience – understanding that you might need to communicate better with your team, giving a good briefing and giving clear instructions as to what you need. Having said that, nature and yachting photography means working with elements that you have no control over. This type of photography requires ongoing fine tuning, learning about yourself and how you can connect to it in different ways ensuring that you communicate the message in a clear and simple way. Every day is a completely new day – you have to maintain your curiousity to learn how to go about it, be aware of the opportunities for creative angles, lighting, water textures. All this really does not allow you any time for boredom! In your career you have met a number of renowned sailors, any favourites that you care to mention and why? Yes, I do get the opportunity to meet with some of the world’s best sailors, however I just get on with my thing, being pretty much on the same level playing field with them, though in different roles. I cannot really mention any favourites because I value all those individuals who are extremely committed to what they set out to do, willing to grind it out irrespective of the conditions they are met with. The people I value the most are those that are humble and approachable and let you into their world, putting egos aside. Any career highs and lows? One always questions oneself, am I good enough to get assignments? There are a lot of talented photographers out there, so what does my work bring to the table? One can easily fall into the trap of being too critical but I try to focus on what I can do. Technological developments have contributed to facilitating photographers in their work. Editing photos is considered part and parcel of photography. How much editing takes place and do you feel that it diminishes the value of the photo? How has technology helped you in your career? I grew up in a world where photography was made up of film, transparencies and negatives. You had to do it right the first time, so it was important to understand how to work with light and different exposures – there was no editing software to cover mistakes or inadequecies. It was all about being disciplined and being a bit harsh on oneself to get the shot right the first time and that still resonates in my career till this very day. I make minimal use of editing suites, maybe to crop an image slightly but I do my best to keep the integrity and values of the image that I would have taken. 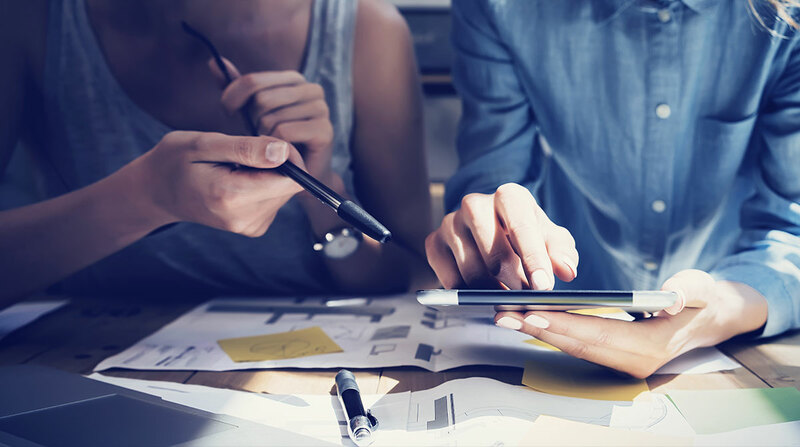 I admit that I resisted the transition to digital at the beginning but the inevitable demands from clients, the expectations of speed of deliver required that I move on to that direction. Now I fully embrace it and I carry on learning! Technology is fantastic. What is your take on smartphone photography? Well it is there. And the best camera is the one you have with you at the moment. The importance is to have an open mind and be aware of your expectations on what it can deliver and the path you are going to take. Many budding photographers mention you as their inspiration, do you feel a responsibility towards them? What would your words of advice be? I really enjoy passing on my knowledge and experience to anybody who reaches out to me. I am happy to help young photographers who are starting out and would like to make photography a career for themselves. My advice is that if you are in for the long ride then you have to slowly start to understand the dynamics as to why you want become a photographer. Do not go in it for the money but for the love of it and develop a strong work ethic– that is a principle I stick to. We are all inspired by different works - don’t copy it but be inspired by the location it was taken in, the angles and lighting – make it your own by creating your own ‘signature’. We all have a degree of creativity, let your hair down, don’t be afraid to experiment and challenge. Break the rules…..as long as you enjoy it! Do you see any of your children venturing into photography? I am pleased to see my daughers developing their creative streak. My younger daughter, Kate, who is twelve years old is very much into acting and drama, whilst fifteen year old Livia is into video vlogging and it is really nice to see her creating her own work, filming and producing posts. Outside of photography, any particular hobbies? My buckets list revolves around the necessity to create personal challenges and goals. I would like to do more with mountain biking, swim-run challenges, enjoy watching my kids developing their creative aspect – Always with my camera at hand! Last question, if you hadn’t become a photographer what would you have become? I honestly don’t know but probably would have mingled in the business and corporate world. Whilst working in the family business was adequate, it was clearly a path that I would not have enjoyed. I was always of the opinion that one should find a career that one could connect with and enjoy doing – If one’s heart is not in it, then don’t do it! Photography wasn’t just a matter of having my heart in it but it is a passion.